Now, Lyca Gairanod has been gaining more and more listenership on the number one streaming platform Spotify. Appearing on 7 collections and albums, Lyca is one of the certified artists with a monthly listeners now of 22,872. Today, it even increased by 162. She now has 2,926 followers. And she is mostly discovered via the New Music Friday playlist with almost 7000 listeners. Lyca Gairanod is mostly listened in Quezon City with 2840 listeners, Makati City 1,113, San Juan 961, Manila 842 and Pasig City 690. The Puede Nang Mangarap Deluxe Album is now available for streaming so make sure to add this on your playlist. What is your favorite streaming app to listen to Lyca Gairanod? And how often do you listen everyday? Let us know in the comments below. Say what you want to say about movie franchises on MMFF but MarNella is set to take theaters this Christmas by storm. The two has already proven their blockbuster worth last year with Haunted Mansion. And they are going to kill it with the seventh installment of Mano Po. Proof indeed of the magic and power of MarNella. Coz they are “born for it”. I mean look at the stars who played Mano Po characters before, they are big stars in their own right. 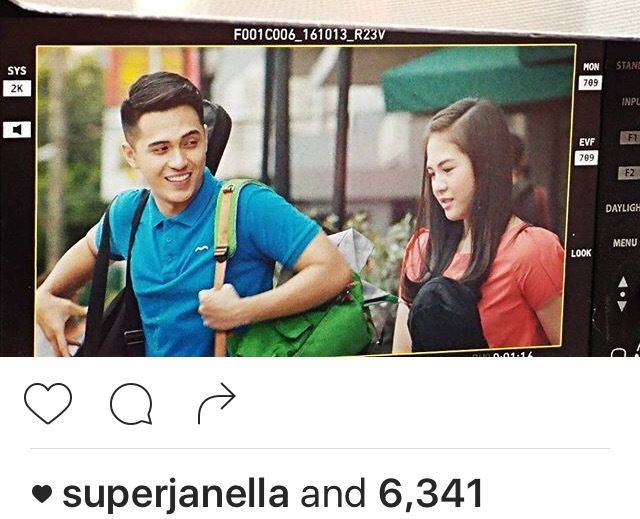 We are so thrilled for Janella and Marlo on the silver screen. How excited are you? Rate how many stars above, click like or dislike below and tell us in the comment below your expectations for Mano Po 7. Solenn Heussaff has officially unveiled the music for her latest single A Pocketful of Promises on Universal Records Philippines. Below are the details and link to the items Maine Mendoza wore today, September 14, 2016 on EB. Maine was recently asked on ASK.Fm about the issue of having a secret relationship with Miggy. She broke her silence and spoke up via the social media platform. Below is her full statement. What do you want to know about Miggy/us? The reason why I am not speaking about this matter is because whatever it is that you see/read on social media about us having a “secret relationship” is not true–AT ALL. You see, some people keep on digging up old photos and tweets, making up different (malicious) stories about them, talking trash about me and creating issues about everything for only one MAJOR REASON– my mere existence annoys the f out of them. In other words, they hate me so much and they aim to bring me down the quickest and the dirtiest way possible. They create issues (and drag different people) because they aim to manipulate and sway others to hate me as well– brainwash, kumbaga. Here’s the thing.. Trolls will remain trolls; they can and will make up stories whenever they want and there is nothing we can do to stop them from making their lives less miserable. More issues and allegations will be thrown at me as I go along but for as long as I know the truth then I don’t see any reason for me to explain myself. It’s up to you if you are going to let yourself be deceived. (Tip: don’t) Don’t let em derail you. Poor Miggy being dragged into this whole thing. Spare the guy from all the crap. Nananahimik yung tao. And by the way, Miggy and I are just friends–nothing more. The couple Iya Villania and Drew Arellano are on cloud 9! Well the two has just given birth to their first born son. And they will christen him Antonio Primo. Drew posted a photo of Baby Primo on his Instagram around noon of August 30, 2016. Drew and Iya are both hosts on GMA 7. Grats guys! And welcome to the world Antonio Primo. Well Maine Mendoza kind of said yes… to wearing a gift given to her by Alden. In a photo, Meng is proud to wear althea medallion given to her by Tisoy. She really treasures what he gives to her! Meanwhile, Alden doesn’t want to be affected by bashers. Maine Mendoza is worth it. 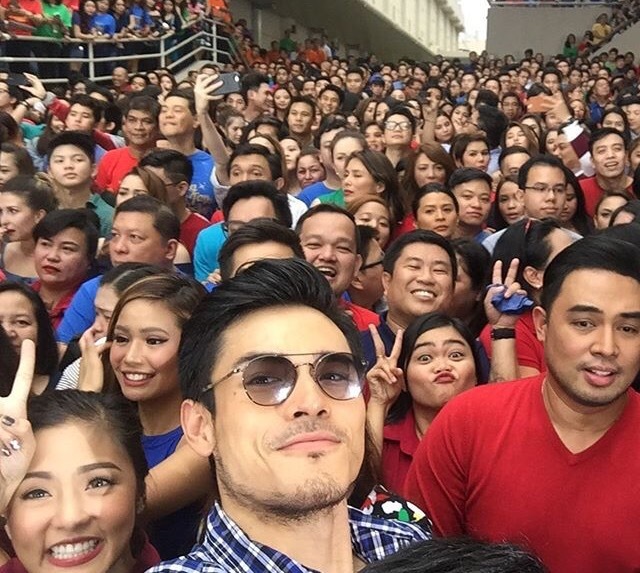 Kahit ilang million pang bashers ang mag bash sa kanya.